When my 6-year-old daughter was afraid to put her head and face under water during swim class recently, I explained what it means to be brave. I said bravery isn't about a lack of fear — acting without fear is easy. True bravery is when you're terrified of something but you do it anyway. Some days later, she asked me about heroes and whether they are brave. "Of course they are," I said. "But what really makes them heroes isn't just that they're brave, it's that they swallow their fears in order to help someone else, someone in need." 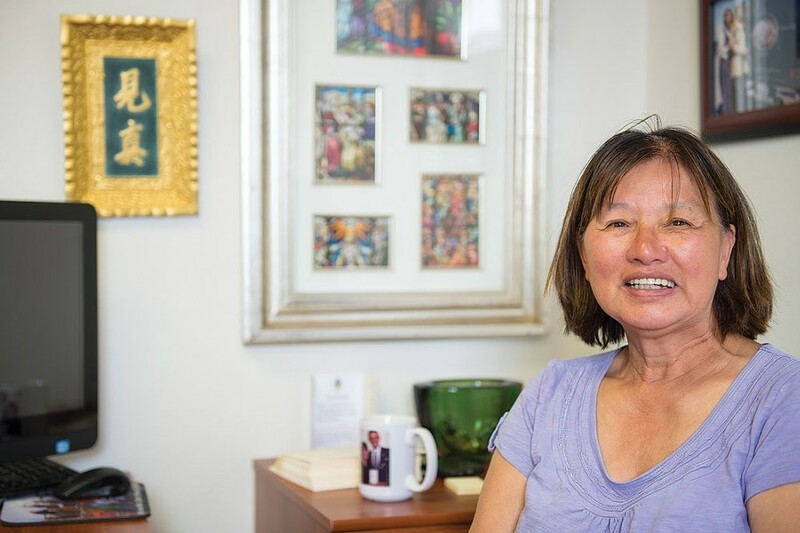 These conversations were fresh in my mind when I learned last week that Eureka's own Betty Chinn has been named a CNN Hero in the network's ongoing series designed to "celebrate everyday people changing the world." There's no question Betty Chinn is deserving. Not only has Chinn largely dedicated the last three decades of her life to caring for Humboldt County's least fortunate — rising before dawn nearly 365 days a year to feed homeless children and get them to school before embarking on her daily rounds delivering food, blankets and opportunities to those without — but there was also a time when she faced tremendous opposition. Born to a wealthy, Western-educated, Christian family in China's Guangdong province, Chinn and her family were targeted in Mao Zedong's Cultural Revolution. At the age of 7, the rest of her family having been imprisoned or taken to labor camps, Chinn was left homeless to fend for herself. 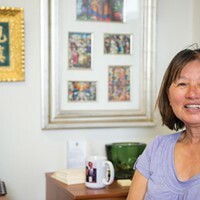 Forced to wear a sign around her neck warning she was a "child of the devil" and relegated to life in a garbage dump, Chinn was ostracized, beaten and tormented by the Mao's Red Guard until she and three of her siblings fled, hiking hundreds of miles and swimming across the Pearl River Delta to freedom in Hong Kong. Chinn found a new life after emigrating in her early teens to the United States, where she eventually settled in Eureka after marrying then Humboldt State University physics professor Leung Chinn. Her philanthropy started small, when she noticed a girl in one of her son's elementary school classes was homeless, living out of a car. Chinn began making extra food to bring to the girl and her family. Soon she noticed more people in need, sleeping in the bushes and rummaging trash cans for meals. So she started cooking more, feeding more. When she got an office job in Laffayette Elementary School's office, she used every penny of her paychecks to buy more food to feed more people. Not everyone in Eureka was pleased to see Chinn driving her family van through Old Town and down to the city's greenbelts to hand out sandwiches, hot coffee and warm clothes. She was repeatedly accosted by local business owners and police officers who felt she was enabling and even attracting homeless people to Eureka. Chinn says that each hostile encounter had a profound impact on her, triggering flashbacks of that Guangdong garbage dump with stern-faced soldiers and their hard clubs. But Chinn was brave. Desperately afraid, she kept doing what she knew was right, kept giving back to the local community and the country that welcomed her by feeding those they had forgotten in a constant effort to make sure nobody would feel the hunger pains and ostracism that defined her youth. Simply put, she was heroic, swallowing her fears and enduring terror to help others. So, yeah, CNN's honor is wholly appropriate. It also comes at a time when Chinn needs some heroes to stand by her. About a year ago, PG&E donated 11 large construction trailers to Chinn to use as transitional housing, having seen the success of Betty's Blue Angel Village, a neighborhood of converted shipping containers Chinn and the Humboldt Coalition for Property Rights turned into a transitional housing complex. But those PG&E trailers sit vacant 12 months later as the city of Eureka has been unable to find a suitable location for them. The city had zeroed in on the Crowley site, a vacant piece of city-owned land west of South Broadway. But the city got a threatening letter from a local law firm representing Pierson Building Center back in May that scuttled those plans and the city has yet to find an alternative site. Eureka is home to one of the most entrenched chronic homeless populations per capita in the country and there is a well-documented countywide affordable housing shortage. Chinn's success is proven. Just look at the Blue Angel Village, which in a little more than two years has taken in 510 clients and watched 242 of them find jobs and 229 find permanent housing. Those numbers speak for themselves. But there are hundreds more people homeless in the streets and marshes of Eureka. Chinn wants to help them. We understand that a lot of people are afraid of potential impacts of seeing a transitional housing project move in near their homes or businesses. That's natural. But it's time for Eureka and its residents to be brave. It's time for us to show a fraction of the heroism Chinn has personified for decades and stand with her to help those who desperately need it.